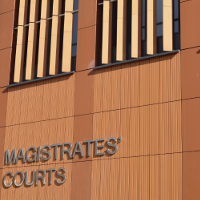 On 1 May, at Nuneaton Magistrates’ Court, the Security Industry Authority (SIA) prosecuted Tallen Smith, a door supervisor from Nuneaton. He was found guilty of failing to provide information to the SIA, a section 19 offence under the Private Security Industry Act (PSIA) 2001. Smith was fined £500, ordered to pay a £50 victim surcharge and £1,749.70 in costs. During the investigation into Tallen Smith, SIA investigators discovered that he had failed to disclose a criminal conviction that affected his eligibility for a licence. As a result, his SIA licence was subsequently revoked. “Tallen Smith was of the opinion that our requests for information were optional and disregarded all our attempts to contact him. In doing so, he committed a criminal offence, and has quite rightly faced the consequences. His actions only served to incriminate him further, and once it was identified that he had failed to notify the SIA of a criminal conviction, we took immediate action to revoke his licence and remove him from the industry. This investigation began following the conviction of Karl Morrison (also known as Karl O’Brien) in October 2017. A part of this investigation focused on Morrison working as an unlicensed door supervisor in December 2016 at a pub in Sutton-in-Ashfield. During enquiries, officers from Nottinghamshire Police initially spoke to the venue supervisor and obtained evidence that indicated that Tallen Smith had worked alongside Morrison as a door supervisor at the pub in December 2016. Nottinghamshire Police then passed this information to the SIA who conducted further enquiries. To determine who had supplied Karl Morrison as a door supervisor, SIA investigators formally requested information from Smith. At the time, Smith held a front line door supervisor licence. SIA investigators gave Smith the opportunity to reply to the letter sent to him however he failed to respond. Consequently, Smith was prosecuted for failing to comply with the request for information from the SIA.